There are lots of ways to support our dogs, many at no extra cost to you. Check them out! Another way to help the dogs! We receive 0.5% when you use this link, or when you select NorCal GSP Rescue (aka NorCal German Shorthaired Pointer Rescue, Inc) while shopping at smile.amazon.com. Same great shopping experience. Even better, use the browser extension Smilematic which will redirect you to AmazonSmile whenever you shop at Amazon automatically! Donate While You Shop with iGive! Easy, Free, and it really helps! With iGive.com, you shop, and we win! Help NorCal GSP Rescue for free! A portion of each online purchase is donated when you shop from the merchants below via iGive.com: Over 1900 online stores, including eBay, Land’s End, Staples, JCPenney, Barnes & Noble, Overstock.com, drugstore.com, Office Depot, QVC, Expedia, Home Depot, HSN, Best Buy, Drs. Foster & Smith, Gap, Buy.com & Nordstrom. Buy gift cards to use at local stores, and as gifts of course! Download the free iGive button for your browser and you’ll be donating automatically – nothing to do or remember! Or get the iGive app for your mobile device. More info and how to sign up here. 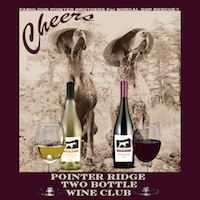 Check out our Pointer Ridge wines! Over 50 varieties of wine to select from, and your choice of your own custom label! That’s right, you can put your very own dog right on the label. Or, stick with one of our three clever labels in your choice of varietals. There’s White to the Point, Rambunctious Red, and Point Me to the Bubbly – conversation starters for sure! Read all about it, and learn about 1 cent shipping. You’ll work with the Personal Wine Consultant to select or design your label and place your order. Cheers! 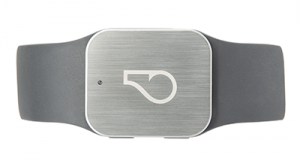 Whistle GPS Pet Tracker – we receive 50% of each sale! Lost dogs can’t call home, so NorCal GSP Rescue has partnered with Whistle, a GPS Tracker for pets, that lets you monitor your dog’s location at any time of day. Use this link and get $15 off with the promo code SHELTERLOVE. Whistle’s device attaches to your dog’s collar and tracks movements throughout the day so you know what s/he is doing when you’re not around. Pet Rescue Rx – 100% of net profits come to us! A brand new concept in pet medications. Competitive pricing for you and a donation of 100% of the net profits of your order for our foster dogs. Outstanding customer service. Pet Rescue Rx carries the exact same FDA and EPA approved pet meds that your local veterinarian does but at significant savings for you. All leading brands including Frontline Plus, K9 Advantix II, Advantage II, Dasuquin, Greenies and Heartgard. All prescription medications require approval by your veterinarian and Pet Rescue Rx pharmacists will call your veterinarian for you to verify the order. Please select NorCal GSP Rescue during the check out process. Want to read a bit more first? Click here. We understand that not everyone is able to donate or to foster a GSP. Here are some ideas that don’t cost you anything but really make a huge difference in helping the foster dogs! eBay – Clear Your Clutter While Helping the Dogs! You have some great items to sell, but don’t have the time to deal with it all? Just contact us and we’ll make arrangements to get them from you and get them sold. Another option to raise some funds! Consider hosting a garage sale to benefit us (we can email you a worksheet of tips, just ask) or selling your items on craigslist. You do it when it fits your schedule! Get your friends and family to help out too! eScrip – it’s not just for schools! Shop at eScrip merchants & earn all year long for NorCal GSP Rescue! If you haven’t signed up for eScrip yet, please take a few minutes and do so now by visiting escrip.com/signup. There are many ways to earn, and there is no cost to you. If you are already an eScrip supporter, make sure all your participating grocery club and payment cards are registered and up-to-date. Use their Merchant Search to find grocery stores near you. To help the most, you will want to use your registered cards at every opportunity. Now offering Text To Register! Get your hands on your favorite texting apparatus. Compose a new text message, address it to “52236”. Text any merchant keyword and you’ll get instructions and links to register. Then just shop with your registered cards and you’ll start earning for your favorite school or nonprofit! Also get the free Benefit mobile app powered by eScrip, then purchase and redeem digital gift cards instantly at participating retailers. Use in-store or online. The dogs get a percentage of each purchase, and it doesn’t cost you a thing! >>Learn more! The above providers donate a portion of sales to benefit our group and we appreciate their support. We make no representations or endorsements as to any aspects of these third-party products or services, and we are not responsible for the contents of any linked site or any link contained in a linked site.